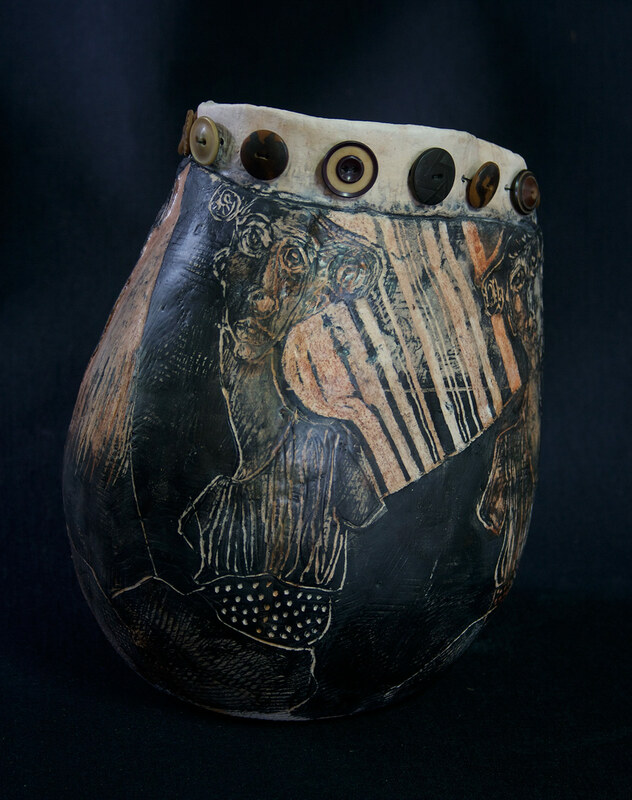 the previous vessels with drawn images were collaged onto the side – this vessel almost has a repeat pattern drawn directly into the clay. 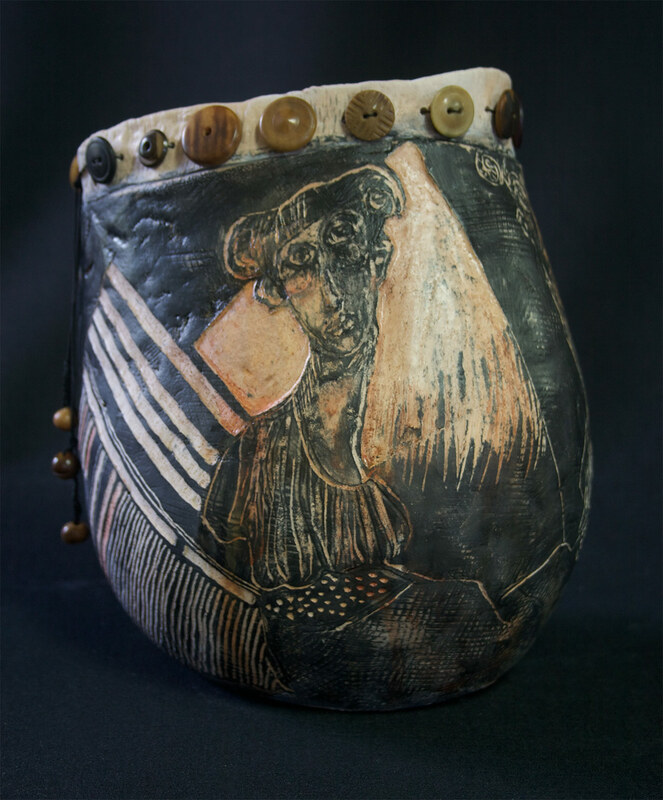 everyone has their own way of accomplishing a task – after trial and error the best method for me has been to cover the freshly hand built form in underglaze before it gets to the leather hard stage – and to carve back into the vessel while the clay is still quite moist. < do you really want to play house? Amazing work. Feels arcane, emotional, crafted beautifully. I love your beautifully carved drawings and the rich earthy textures and colours that you have achieved with this new technique, Veronica! 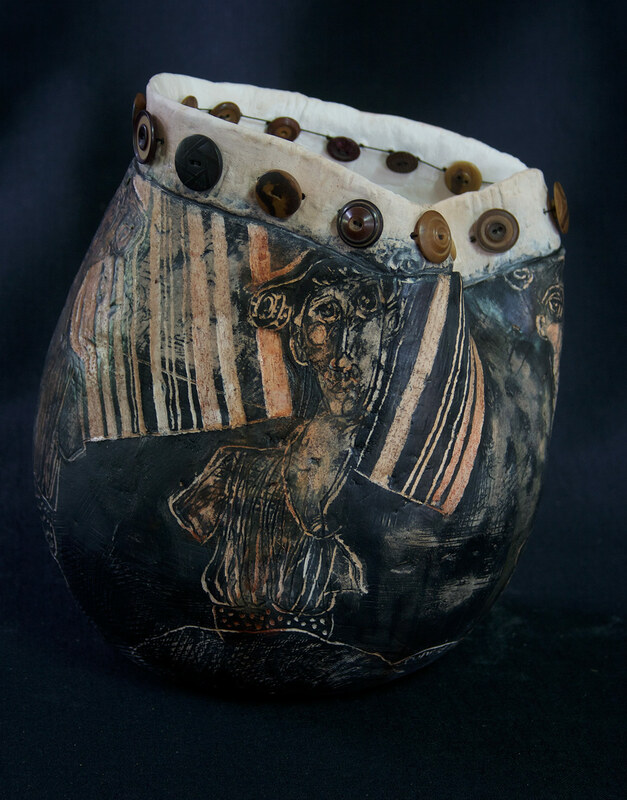 This vessel conveys the intensely delightful appearance of resembling a somewhat ancient artefact! Well done! I called round to wish you a Happy New Year.